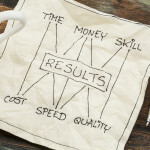 Are Leadership Mistakes Costing You Time & Money? Online Leadership Development that Can Help! Accelerate your training and readiness for leadership? Make an immediate impact when the opportunity comes calling? Prevent the aggravation and embarrassment of unintended leadership mistakes? Reduce expensive, avoidable errors by leaders who didn’t get trained? Have a team with leadership bench strength prepared to move into leadership? Equip your employees without negatively impacting operations schedules? Our online leadership development library may be right for you. It’s convenient. It’s comprehensive. It’s engaging. It’s practical. Build important skills like leadership, motivation, team building and communication — in a flexible, practical, cost-effective way! Discover the subtleties of leadership most training courses don’t tackle. Reduce downtime, wasted effort and expenses from mistakes that could have been prevented. Get practical, complete training when and where it’s convenient! See what a course can do for you! No cost. Risk free. Complete the information below to sample training videos, learning activities, discussion boards, mentoring activities and more!